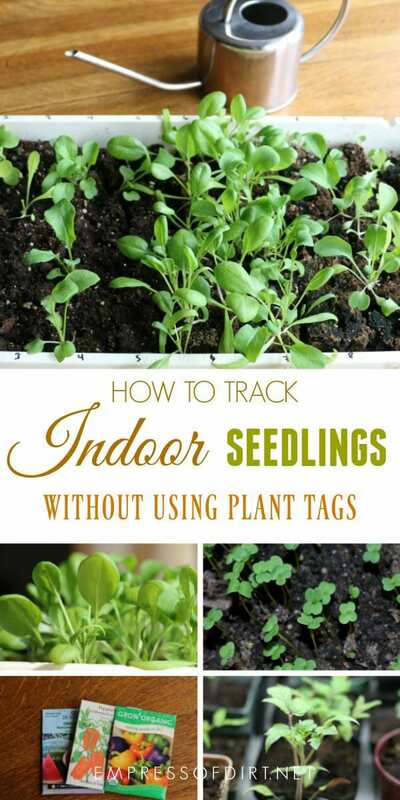 This seedling tracking system keeps track of all of your indoor seed sowing without the need for tags or markers for each plant. 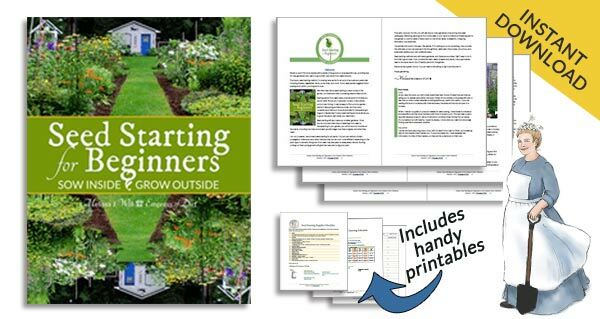 For more, also see helpful tips for growing your own plants from seed. This is a really simple way to keep track of the seeds you’ve started indoors without having to prepare plant tags or labels each time you plant. Instead, you label your planting tray like a spreadsheet with rows and columns and use it over and over again. You can find all of my seed starting tips here. I use 10×20″ trays. My local garden nursery gives away any trays and pots that customers return to them (and they recycle the rest), so I get what I need each spring. A 4-cell 2″ soil blocking tool works perfectly with this size of tray. One tray holds 50 (2″) soil blocks. Using a permanent marker, label your tray in rows and columns, just like a spreadsheet. Each tray gets a unique number (for example: Tray #1). A 10×20″ tray accommodates 5 rows (named A to E) and 10 columns (named 1 to 10). I keep notes on everything I plant so I can monitor which seeds are most successful at harvest time. 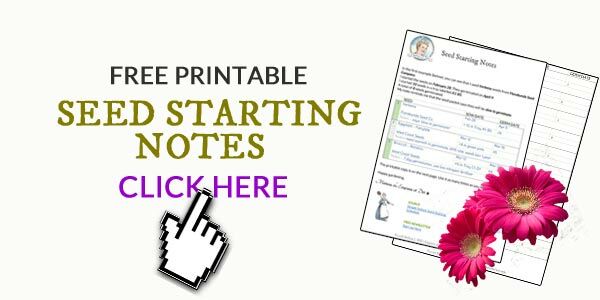 This provides a complete walk-through of the seed-starting process including how to use a soil blocking tool and how to keep seed starting notes. I found the soil block cube system at Lee Valley Tools as well. Available online or in the store (Burlington ON). They seem to available at many more stores than they were just a few years ago. Gardening is taking over the world. Woot! This is such a simple, yet perfect way to keep track of the seeds! I love you process!